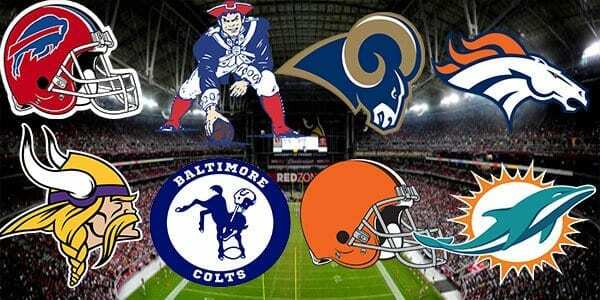 The NFL Football season may be months away, but there is always action available in the NFL! 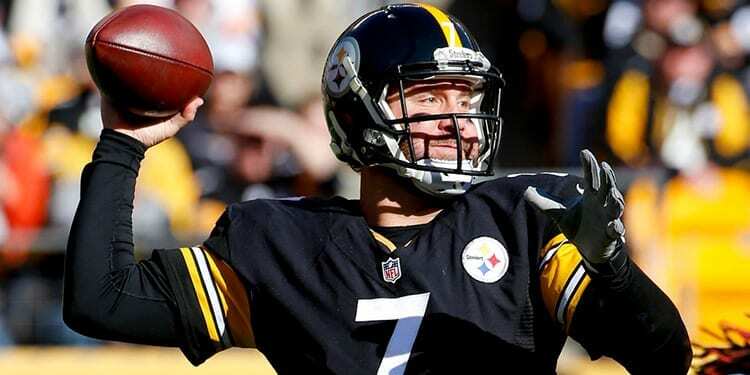 Betonline.ag is offering a variety of futures odds including who will be the AFC North’s champion. Which team is the early favorite – is it the Steelers that have finished atop of the division in 6 of Mike Tomlin’s 12 years or maybe the defending division champ Ravens that has won the division championship 3 times in John Harbaugh’s 11 year tenure? Negative on both counts. The Cleveland Browns are the early favorite to win the AFC North. This is the same team that has won 8 games over the last 3 years, but they finished 2018 winning 5 of their last 7 and have added more talent to their roster during free agency. My pick to win the division and cash tickets for their bettors is the Steelers. The Browns may have won the PR contest in March, but that doesn’t always translate into wins on the field. If you like the Browns next season you can bet if they will win a playoff game and get better value. But for this futures bet - Let’s look at the teams and their odds, and see why Pittsburgh is the early play, or if someone else can lead the division this year. The 2018 Steelers were more of a soap opera than a football team, and in the end the drama was too much to overcome. The Le’Veon Bell story dominated the first quarter of the season, then popped up again at week 10. The Black and Gold came together during Bell’s absence, then star wideout Antonio Brown and Ben Roethlisberger had a lover’s quarrel that ended with Brown sitting out week 17. Bell and Brown will not be wearing Steeler uniforms this year, and Big Ben along with coach Mike Tomlin are on the hot seat to deliver a division championship and a deep playoff run without 2 of the best skill players in the league. I think the Pittsburgh rises to the challenge. Roethlisberger is still one of the top 5 QBs in the league. He threw for over 5000 yards last season and 34 touchdowns against only 14 interceptions. He has the capability to put the team on his back but he has also made some bonehead plays over the past couple years. He has justifiably taken a lot of heat this off-season, and should have a laser focus this year. JuJu Smith-Schuster is an up and coming #1 receiver and is expected to be able to fill most of Brown’s shoes. Donte Moncrief has come in to compete with James Washington to play opposite Smith-Schuster and look for Pittsburgh to select another receiver in the draft. The Steeler brass has proven very proficient at picking WRs, and will try to strike gold again in 2019. James Conner made most fans in Steel City forget about Bell, racking up just under 1000 rushing yards and 500 receiving yards in 13 games. He isn’t as dynamic as Bell, but behind Pittsburgh’s top 5 O-line he is more than capable of moving the chains, breaking off big runs and finding the end zone – as he did 12 times last year. Tomlin appeared to lose some control of the team last year, but I look for the team to rally behind him this year. Pittsburgh will bring the best defense in the division into the 2019 season after leading the league in sacks last year. They have a host of veteran players that know the team only has a couple of years left in his window to win a Super Bowl, and I think they rise to the challenge to win AFC North. +200 is a good odds on a team that has won the division 50% of the time over the last 12 years. The Browns entered week 10 of last season with only 2 wins, but they had sent Hugh Jackson packing and rookie Baker Mayfield was settling in as their starting QB. Mayfield lived up to his number 1 overall pick, throwing for 27 touchdowns against only 14 interceptions and establishing himself as the team leader. Defensive Coordinator Gregg Williams took over the coaching reigns and added a toughness to the team, but Mayfield and interim offensive coordinator Freddie Kitchens developed a chemistry that motivated the front office to let Williams walk and keep Kitchens as head coach. 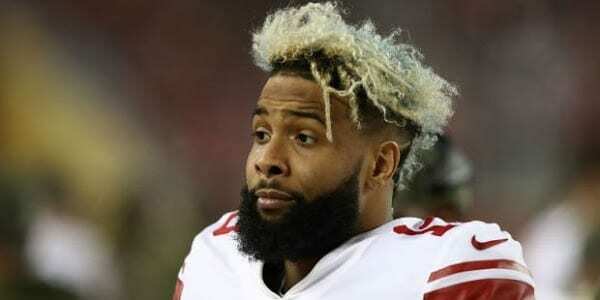 The Browns picked up Odell Beckham from the Giants and now boast one of the strongest skill position groupings in the AFC. Beckham joins former LSU teammate Jarvis Landry and high upside tight end David Njoku to form one of the league’s best receiving corps. Nick Chubb averaged 5.2 yards per carry and took over as the lead back after Carlos Hyde was traded and free agent Kareem Hunt will be available for the second half of the season after serving his 8 game suspension. This is a well rounded offense that will be hard for defenses to game plan for and will definitely put up points. But offensive firepower alone doesn’t win games or divisions. Expecting the Browns to top Pittsburgh is a vote of confidence for Kitchens. This is a guy that was only an offensive coordinator for half of last year, and has never been a head coach. He selected Steve Wilks who bombed last year as the Arizona head coach to be his defensive coordinator. Wilks inherits a squad that was 30th in yards allowed last year, and lost leading tackler Jamie Collins and former first round pick Jabrill Peppers. Cleveland did fortify their line by acquiring Sheldon Richardson and Oliver Vernon but the Browns don’t have a draft pick until the mid-second round so they will have multiple holes on the defensive side of the ball. I am looking to fade the Browns next year. Kitchens getting the Browns job is similar to Dirk Koetter being named Bucs head coach 2 years ago because of his relationship with Jameis Winston. The Bucs had firepower and the QB had potential, but it never translated into wins. Add in an offensive line that has Greg Robinson starting at left tackle and traded starting right guard Kevin Zeitler and a lot could go wrong. There are a lot of personalities to manage on the Browns and the franchise has a way of underachieving. Betting on Cleveland is a big vote of confidence for Kitchens. At only +120, the payoff isn’t very enticing. I’d stay off the Browns for at least one more year, and even look to play under their season win total. The Ravens shocked the NFL last year after Lamar Jackson led the squad to 6 wins in their final 7 games to win the AFC North. They turned the clock back to the 1970’s with a game plan of run the ball and play strong defense. Baltimore had more rushing yards than passing yards in 6 of those 7 games and dominated the Browns on the ground for 296 yards in their week 17 game to seal the division championship. Unfortunately, the 1970 formula failed miserably in the playoffs as the Chargers sold out to stop the Ravens rushing attack, holding Baltimore to only 90 rushing yards and 11 first downs. So why are the sportsbooks skeptical of the 2019 Ravens? They lost 15.5 sacks by letting Za’Darius Smith and Terrell Suggs walk along with the team’s tackle leader middle linebacker C.J. Mosely. None of these players were replaced in free agency. Safety Earl Thomas was signed to replace Eric Weddle which will upgrade the secondary. The defense was first in yards per play last year but will struggle to repeat that performance without finding someone to rush the passer. They don’t draft until 22nd in the first round, then they don’t pick again until late in the third round. A big part of Jackson’s success was knowing he had a defense that could dominate but that won’t be the case this year. For a repeat championship in Baltimore, Jackson will have to elevate his passing game. The Chargers put out the formula to stop the Ravens rushing attack and teams will copy it until Jackson can keep them honest. Mark Ingram comes over from the Saints and will slightly upgrade the rushing attack. On the flip side, Michael Crabtree and John Brown will not return. This leaves Willie Snead as the only established pass receiver on the roster as none of the free agent receivers had much interest in being part of the run first offense. Greg Roman takes over as Offensive Coordinator and should be able to maximize Jackson’s performance. Believing in the Ravens to repeat this year means believing that Harbaugh can work some magic, and Roman can develop Jackson into a better passer during the off-season. +300 is pretty good odds for the defending champs that have a quarterback coming back for his sophomore season after going 6-1 but I’m not buying it. The Bengals at +800 offers the biggest upside but, it’s not enough. Cincy has finally move on from Marvin Lewis and replaced him with former Ram quarterback coach Zac Taylor. Taylor will have his work cut out for him if he is going to take the Bengals from last to first. He inherits Andy Dalton as his signal caller. Dalton has had a few good years but isn’t a player that is all of sudden going to take a step to be an elite quarterback. A.J. Greene and Joe Mixon are high end playmakers but the offensive line is mediocre at best and the balance of the skill players don’t move the needle much. The biggest problem with the Bengals is the defense. They were 30th in the league in points allowed, last in the league in yards allowed and 28th in sacks. Free agency didn’t bring any help. It took multiple offers before the Bengals could even get a coach to accept the job as defensive coordinator, with former Giant defensive back Lou Anarumo accepting the position. I’m all for playing a longshot from time to time but this is not one of those times. It’s hard to imagine the Bengals even finishing over .500 this year. It is possible they don’t finish last, but it is more likely they go 0-6 in division games than finishing above the other three teams in the division. The Bengals should be double these odds to even take a flier on. If you want to play a longshot to win a division, I would look at the Bucs or Jets, but not the Bengals. My bet to win the AFC North is the Steelers. They have the best quarterback, best offensive line and best defense. The Browns will be great television but the Steelers take home the title.